The Dalston’s story started out in East London, 2012. In the teeny kitchen of Passing Clouds nightclub Duncan O’Brien first lovingly hand-mashed and mixed cola to quench the thirst of the infamously cool and eclectic venue’s visitors. 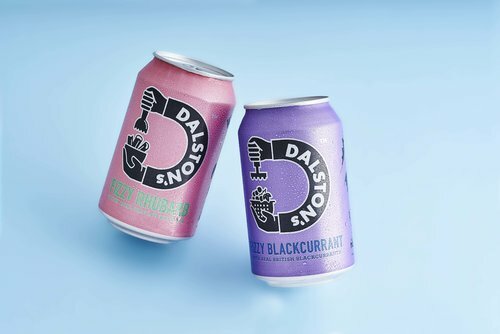 With a passion for great ingredients and hands-on culinary creation (inspired by his days as an on-board Orient Express chef), Duncan wanted to provide the Dalston locals with a yummier, fresher, and all-round better alternative to mainstream fizzy soft drinks. And so provide, he did. Luckily for the rest of us, Dalston’s is now stocked in the best shops and establishments across the UK and beyond. Over six years, the range has also grown. There are now 8 tempting tastes to choose from, including fiery ginger beer, velvety rhubarb and crisp elderflower. Here at Office Pantry, the only thing we love more than an underdog is an underdog that makes delicious drinks. Fresh, thirst quenching and good for you and Mother Nature, Dalston’s blow the average can out of the (soda) water. Big brands – beware. But don’t just take our word for it. Click here to get Dalston’s delivered to your office next week and check it for yourselves. ✓ Light versions = only 20 cals per can!! !